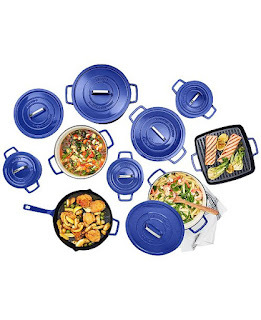 Check out this Martha Stewart Collection Cast Iron Cookware $29.99 - $259.99. The 2 Qt. Round Dutch Oven is $29.99 (Retail $99.99). Marked items will receive another 20% off with code WKND at checkout. Shipping is FREE with $49 or add a Beauty Item to your order for Free Shipping.